Learn how to setup lure spreads for marlin trolling with this video from In The Spread. David Brackmann breaks it all down for you. Understand which wave to place each lure on and more. 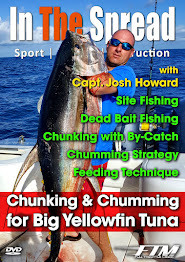 Subscribe to http://www.inthespread.com to watch the entire library of full length sport fishing instruction videos. In The Spread project is produced by Seth Horne in association with Full Throttle Media.